I’ve been wanting to share this for a while now: my mystery portrait. It hangs in my office at work, along with the two other artworks made by students and given me over the years. The other two were hand-delivered, so I could thank my student personally. It was secretly left on my office desk in the first week back this year. The only clue was the handwritten note ‘Welcome back Mrs Bloxham’ on the back. Now the content matter is amusing. It’s me, in a monster BookWeek costume from 2016. The only selfie I have on my Instagram profile. What I find incredible? And so, so, so humbling? 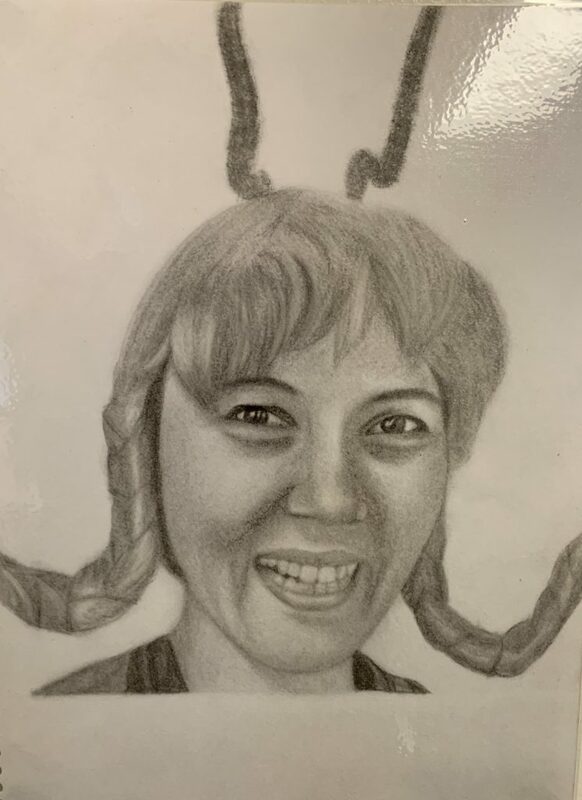 That a student would seek out a photo of me, and then spend hours and hours and HOURS of their time, during their holidays, drawing me! Because it is a FANTASTIC drawing! Yesterday afternoon, two online friends @fionawb and @jobeaz were discussing having ‘positivity in your PLN’, and they came up with the idea of sharing a daily “What made your day”, tweeting about it with the hashtag #Springinyourstep. 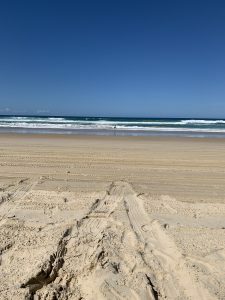 And not to shy away from a blogging challenge, I asked to join in. So here ’tis! Day 1 of September, and what made my day today? 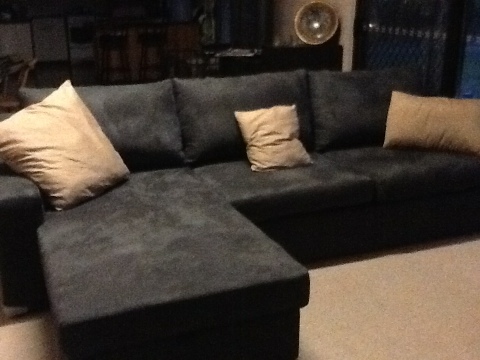 This morning, I snuggled with my three cherubs on my new lounge. Hubby and I have been married since November 1995, and this Wednesday just gone, we finally got our first lounge. LOL! New furniture (and snuggling three gorgeous little people) certainly puts a #Springinyourstep!!! It was a beautiful day. Hubby had to study (CPA, third unit, poor love) so aforementioned kids and I spent the day outside. 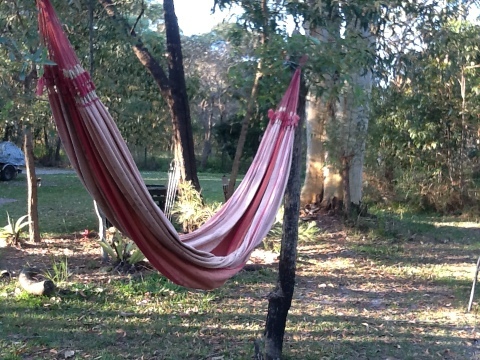 And for part of that time, I got to use my hammock YAY!!! Definitely a #Springinyourstep experience! 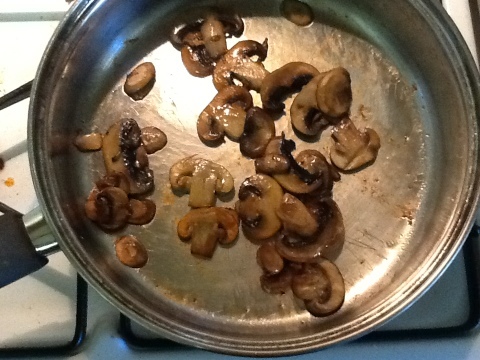 And finally, I cooked myself some mushrooms… a rare luxury for me. Omnomnomnomnomnom! Overall, it was a wonderful first day of Spring. And I’m also very happy to be joining in this #Springinyourstep daily blogging challenge. I’ve been envying my friend Catherine Buntrock’s Facebook updates with her daily dose of gratitude, and my pathetic drawing ability unfortunately meant that I’m unable to join in with #drawmeSeptember starting today with another friend @bbeingcool, so this is a perfect fit, methinks. Join in, dear readers, if you’d like! And see you tomorrow!